Matt is the co-founder and Director of Branch8, a consulting and technologies service provider specialized in Omni-channel e-Commerce. 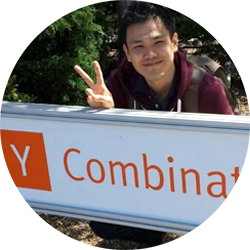 Branch8 is backed by Y Combinator, a well-known Silicon Valley start-up fund. The early entrepreneurial journey of the company was also covered by multiple online media like TechCrunch, Unwire.Pro, South China Morning Post, StartupBeat. Prior to founding Branch8 in 2015, Matt was a Vice President for Mid-Market Enterprises segment at HSBC. Matt holds a Bachelor of Commerce (Finance and Economics) from the University of Toronto.